Video A1 - Do You Remember? Do you remember singing, now? Do you remember singing now? 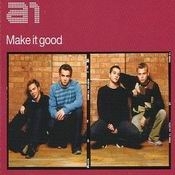 - Álbum "Make It Good" del año (2002)	.